First, the game is very pretty. Sprites have served the series very well over the years, but the Generation V entries on DS/DSi were starting to show signs of age. Now that the series has taken its first steps into a full, 3D-modeled direction, the graphical improvements are vastly more impressive and appreciated. Each move now has animation, and each Pokemon has unique battle and idle animations as well. At certain points along the various roads and routes, the camera will pan in, down, and around your character to show off the beautiful scenery filling the up the 3D space. However, with the improvements in graphics come some head scratching missteps. The most annoying of these failures is the lack of consistent use of the 3D visual effect (the one controlled by the 3D slider, not the 3D environment). I am aware of the recommendation to have young children avoid 3D, but in this case, there isn’t any real reason to have that effect at all anyway. 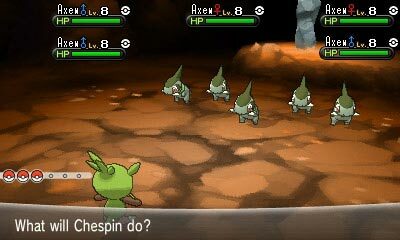 Game Freak should have simply left that option off the table entirely. As it stands, the 3D effect is used only in battle and in certain (not all) cutscenes. Just leave the slider in the off position. The battle system has gotten some noticeable user facing improvements. In the past, most of the changes to the way Pokemon leveled up and the mechanics behind various moves were buried deep in the underlying formulas, locked away in code. Dedicated players managed to figure out many of these systems, but the average player wouldn’t ever know the best way to maximize the effectiveness of battling wild Pokemon among other mechanics. X and Y introduce a few key changes that make battling and training faster and more intuitive. First, and most important, Pokemon earn XP after successfully defeating opposing Pokemon, regardless of whether that Pokemon faints or is captured. Secondly, the Exp. Share item is acquired very early in the game. It grants the entire party XP and can be turned on and off at will. These two changes alone effectively eliminate the need to grind and makes it possible to complete the main story (including the Elite Four and Champion) in a much shorter time period than some of the previous titles, in particular the other transitional titles that didn’t allow immediate access to a previous party. Trainers can also have their Pokemon complete Super training challenges. Doing so will increase the base stats for that Pokemon. The introduction of Mega Evolution is also a new addition that spices up battles. These powered-up forms are only available to certain Pokemon species and only when holding special items. The new forms are often pretty cool looking, but ultimately, switching to Mega form isn’t really required in normal gameplay. The use of Mega forms will be most interesting in multiplayer. I believe that X/Y are the best main series entries to date by far. The interesting use of friend codes with the Friend Safari, streamlined leveling, Mega Evolution, and further refinements to the underlying battle engine with the introduction of the brand new Fairy-type all give a compelling reason to hop on this bandwagon all over again. There’s still room for improvements in the implementation, story (like that will ever happen…), and in content (I do feel like there isn’t quite as much to do after the Elite Four this time), but hopefully, Nintendo has a full slate of events and Wonder Card distributions to expand these games further. Buy at least one of these and enjoy. I felt there wasn’t much after the elite 4 as well, you grab Zygarde and Mewtwo and then what? But then the game proved me wrong! I’ve found Looker quest missions, extra restaurants, trainer videos, the ease of perfect breeding and ev training, clothing collecting, etc etc etc to all be welcome and engaging distractions. Not to mention the poke radar shiny chain hunting! So cool! I’m actually surprised you didn’t mention custom trainers, the terrible glitches that have wracked the game, how easy most of the challenge was (and the need for a hard mode), or even the O powers and the sense of community it can bring to friends playing it together in a room. Other than the three legendaries available after beating the Champion, there isn’t much else to do. The Looker missions are a nice touch, but they really are a blip on the radar considering how much else is packed into the PSS, all of which is accessible almost from the moment you start. 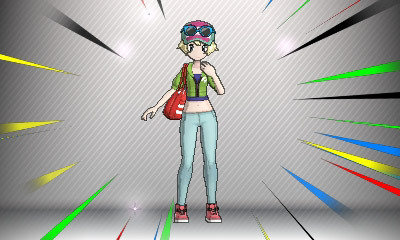 Custom trainers are also a nice touch, but other than one item that can be acquired just outside the Friend Safari, there is no core game incentive to spend time with that. Overall, the PSS functions in general are all meant to facilitate online play – ranked battles, trades, and community – and are ultimately just improvements and slight additions to the already existing GTS. 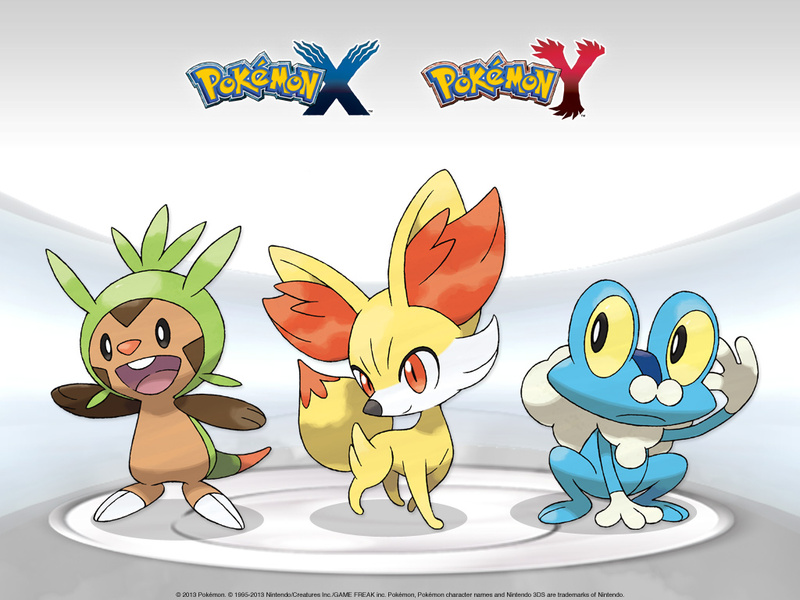 Previous Pokemon titles had all of that and upwards of 4-8 legendaries, starters, and exclusives that could only be acquired at endgame, and in some cases, a second game entirely in reruns of the Kanto region. New, more challenging experiences. This time, that’s missing. For now anyway.